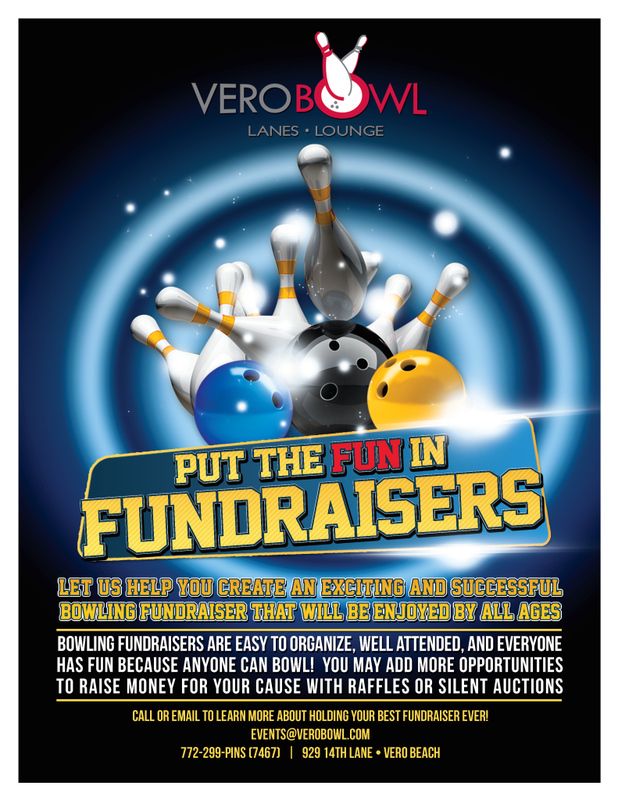 Vero Bowl has many great fundraising ideas and events for lots of groups. Many local school groups have raised money to help their sports teams, music departments and much more. Bowling is a great fundraiser for churches, charities and other organizations too! Bowlers collect pledges and the organization pays a small fee for the bowling. Groups have raised between $2,000 and $10,000 in one day with this format. Each fundraiser has different elements and options that can be customized for your group. The different types of fundraiser also have a very different level of volunteers and time line; it is best to talk to us while planning your event to see what program will work best for your organization.